The poppies in my garden are so fleeting that I snapped a picture for you before the petals fall away. Such a fragile flower. Happy Friday, friends! Obrigada e bom fim de semana.Linda mesmo suas papoulas. Hi Renee, I love the Poppies-so beautiful and as you said, fragile. Hope you have other blooms to enjoy. Beautiful. I immediately thought of a poem I had to memorize in about 4th grade - "In Flanders Field the poppies grow......" or is it Flanders fields? Oh, well....that was a VERY long time ago! Those are so beautiful, love the centers! So beautiful. I wish I had poppies. Thank you for sharing! They almost look like crepe paper...:) enjoy!! Beautiful!!!!! Thanks for sharing them with us. 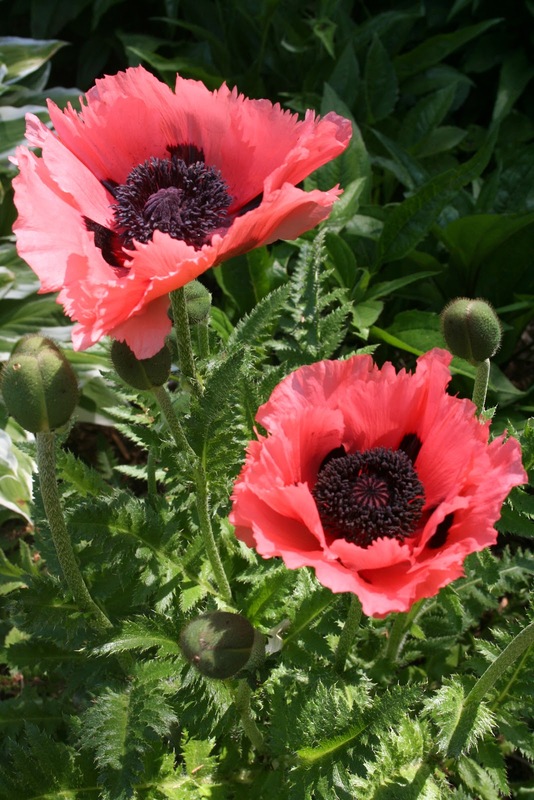 I adore poppies! Yours are very pretty....happy weekend.